TL; DR: DAOstack, a blockchain-based operating system for collective intelligence, facilitates the decentralized governance of self-organized networks. The technology makes collaboration accessible through cryptoeconomic incentives and enables effective decision-making through Holographic Consensus. Powered by Ethereum, DAOstack has the potential to accelerate our capacity for problem-solving, empowering individuals, organizations, and communities to self-organize around shared goals. At its core, the internet is one of the most empowering technologies available. An information superhighway, it affords users around the globe many freedoms — such as the ability to blow the lid off corruption, exposing the all-to-frequent abuse of power within organizations. Under the glare of the internet spotlight, organizational misconduct may seem more widespread than ever. That’s an illusion: Corruption’s stronghold on government regimes has been evident throughout history and the world, dating back to the first Egyptian Dynasty. Now, it continues to be pervasive throughout our global economy. DAOstack has the potential to profoundly change the way we collaborate. DAOstack, an operating system for collective intelligence, could be the answer to toppling our current paradigm in favor of decentralized autonomous organizations (DAOs). Pat argues that decentralized governance could provide a framework for evolving the complexity of our current organizations and institutions on a global scale. As a blockchain-based operating system powered by Ethereum, DAOstack has the potential to facilitate decentralized governance, frictionless collaboration, and effective decision-making through self-organized communities and collective intelligence. 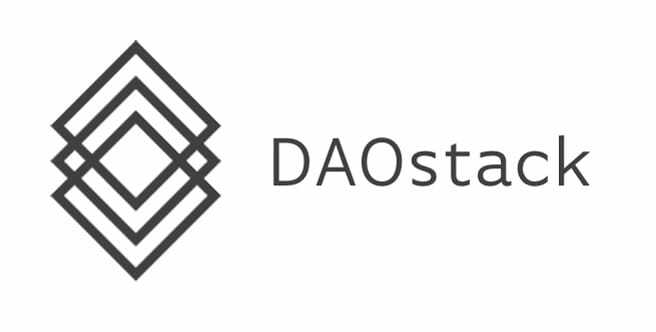 Pat told us DAOstack is an ongoing passion project started by Matan Field and his circle of decentralized governance researchers, developers, and advocates in late 2017. 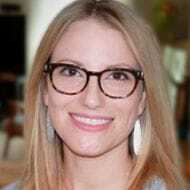 Matan had worked with Oren Sokolowsky, now Chief Engineer at DAOstack, and Primavera de Filippi, an expert on decentralized governance and author of “Blockchain and the Law,” for about three years prior to that. Vitalik Buterin was an advisor on the Backfeed protocol, a precursor to DAOstack. “DAOstack is a continuation of an ongoing effort to create a comprehensive platform for decentralized governance rather than a launch in itself,” Pat said. As such, DAOstack is growing in the midst of an ever-shifting technological landscape. Pat said Ethereum’s continually evolving narrative has significant impacts on the technology. In contrast, Pat said Ethereum is gaining momentum. Considering the unconventional nature of the project, Pat said the DAOstack team is challenged on a daily basis to ease the transition between centralized organizations and a decentralized future. DAOstack won’t settle for ideas to “resolve this tension gracefully” if they fail to meet the project’s high standards. For example, some blockchain organizations use elected associations to decentralize themselves. “While this approach may be easy or convenient, our belief is that associations fall markedly short of the decentralized structures this collective space should aim to architect,” Pat said. The DAOstack team envisions a future driven by decentralized organizations. DAOstack’s major differentiator, according to Pat, is its Holographic Consensus framework. The protocol, developed by Matan, is comparable to holographic images. If you’ve ever cut a hologram in half, you know you can see the entire scene in each piece. That’s because the whole is reproducible through segments of its parts. This is possible through what Pat describes as a “cryptoeconomic game” in which a relatively small network of predictors anticipates the fate of proposals in different DAOs. This allows local groups to make quick decisions for the DAO as a whole. Predictors use a form of currency called tokens to back up their predictions, which provides motivation to ensure they are in line with the DAO’s majority opinion. DAOstack’s economic model is segmented into two currencies: token ownership and voting power. The monetary element used within DAOstack’s economic model for token ownership is known as GEN, while voting power is measured in “reputation.” The two currencies are separated to prevent corruption and facilitate a collaborative economy. Alchemy, the first application built using DAOstack, is a platform that allows users to create DAOs. Researchers deployed the first DAO running on Alchemy — the Genesis DAO — in a private alpha last spring. The Genesis DAO, focused on furthering the interests of the DAOstack ecosystem, is centered on community-driven development. Pat told us the system represents a profound shift from traditional grants as well as typical blockchain processes, which involve multiple rounds of approval subject to individual preferences. As a concrete example, he pointed to the auction-based fund distribution system used by the U.S. after Hurricane Irma slammed Puerto Rico. The ultimate goal for DAOstack, according to researchers, is to empower communities to tackle issues in a more holistic way so they can find solutions to problems they couldn’t solve otherwise. Pat told us that if the goal succeeds, these self-organized communities could in a sense be described as organisms, rather than organizations. As the technology evolves, its vast and mind-blowing implications on our lives will become clearer. Until then, Pat said the Isreal-based team behind the innovative operating system for collective intelligence derives much of its inspiration from a peculiar source: a local hummus shack.